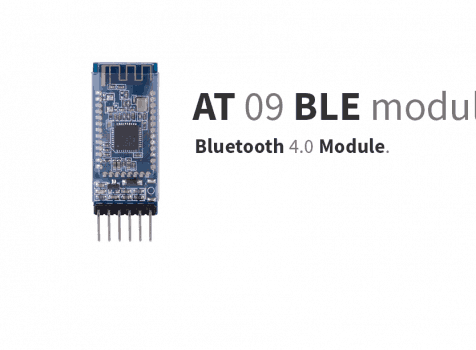 I always wanted to connect something over Bluetooth if found this module the AT 09 BLE module. But first I need to know how it works. The AT-09 is a module that contains a BLE chip (a CC2540/CC2541). This module allows to perform serial communication with the BLE chip thanks to an Rx and a Tx pin. This module is also very similar to the HM-10 module and is also compatible with it. Turn on you Arduino, you should see the AT 09 BLE module led blink. 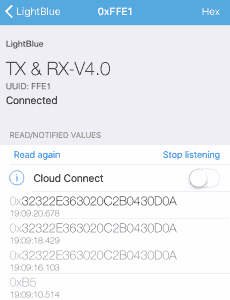 If you have a BLE smartphone, you can also open a BLE scanning app to scan for the AT 09 BLE module. In my case, I used LightBlue | Explorer on my iPhone. The module was detected as device named ?. You can have a different result. If you do not happen to detect the module in this step, it may be simply a problem with the configuration of the module. So keep reading to learn how to configure it. Connect the TXD and RXD pins of the module to any pair of Arduino pins other than 1 and 2. 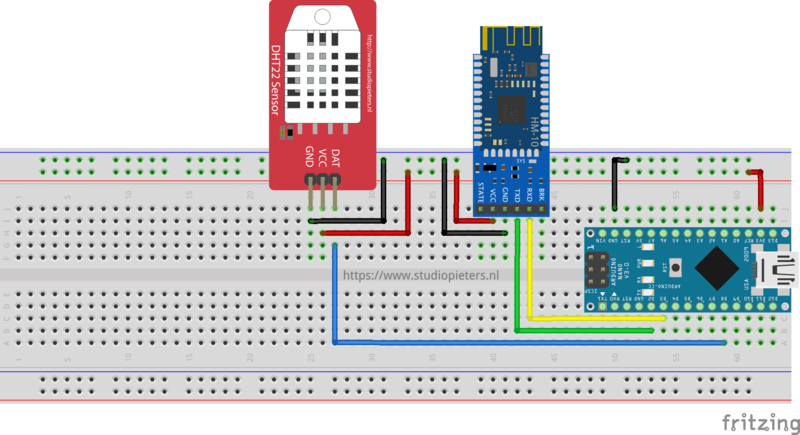 Ask the Arduino to convert that pair of pins into a serial interface. Send AT commands to the module and receive their responses. 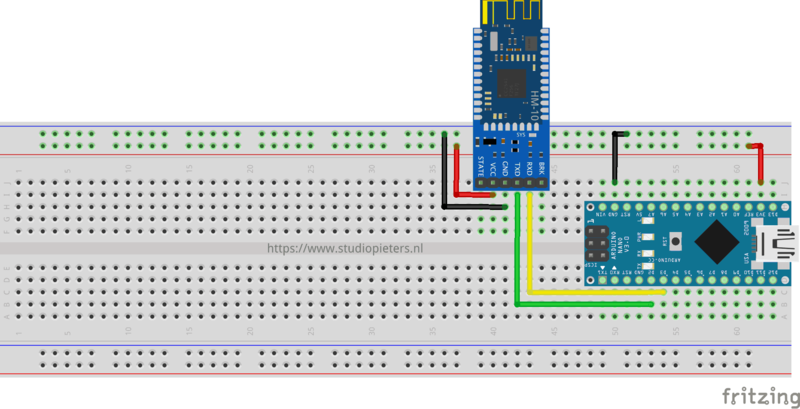 Connect the TXD and RXD pins with the Arduino Nano like this. Of course, you can connect the RXD and TXD pins to any Arduino Nano digital Pin (As long it is not pin 0 and 1). Next, we declare the serial interface. This means that the arduino will use Pin2 will be used for Reception (RX) and Pin 3 for Transmission (TX). After that, we can begin the serial communication by calling. 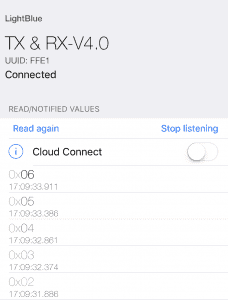 The AT command allows to verify that we are correctly connected and return “OK” in that case. It acts like a ping command. After running this loop, you should see an “OK” appear on the serial monitor. Congratulations, we sent our first command to the AT-09 module through the Arduino. Next we will configure the module as a BLE peripheral using commands. configuring the AT-09 BLE module is done by so called AT commands. The goal of this section is to call the commands that allows you to do the following. An important detail to note here is that the AT-09 BLE module allows only one service that contains only one characteristic when it is configured as a peripheral. The HM-10 datasheet contains a section that lists AT commands. After some research, we find the commands that we are going to use. Set the module as peripheral if not set yet: AT+ROLE0 where 0 is for peripheral and 1 is for central. By consolidating all this information, we conclude to these commands. On the Arduino sketch, we will send these commands during the setup() step since we will do it once when the board it boots up. It will take the command as a parameter, sends it, and displays its result. Note that I force a delay between sending a command and reading its reply. I did it because I noted in my tests that there is a lag between these two steps. So, better keep the delay. Here is the code. 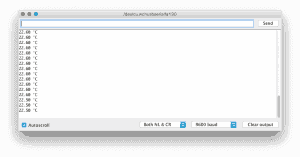 When you run the sketch, you should see the following output on the serial monitor. On the iOS side, the name of peripheral gets updated. I used LightBlue on iOS to perform the verification. 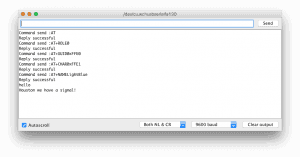 We can also verify the UUIDs of the services and characteristics. We are making good progress. The next step consists in reading and writing data on the characteristic using the Arduino. The next section first focuses on reading the data available in that characteristic. After configuring the AT-09 BLE module as a peripheral, our Arduino can easily read the data sent to its characteristic by reading TXD pin. Any connected central can inject data into the characteristic. Please note that the only available characteristic can store up to 20 bytes of random data. In this code we see there is a function that puts the characteristic data into a buffer and then writes it to the serial monitor. The loop() function does simply a call to the readSerial() function. Now open the LightBlue app and click on write new value. Then type 68 65 6c 6c 6f (Hello in Hex). Next, we will see how to write data to the characteristic on the Arduino side and how to receive on the central side. 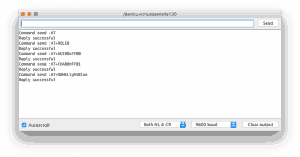 You can now guess how to write data to the module. The answer is of course, by using mySerial.write(). 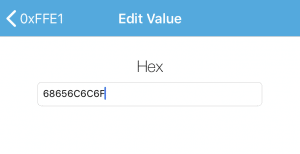 The loop() method will print a value that gets incremented after each write. This sketch will write these values one by one: 1, 2, 3, 4, 5, etc. 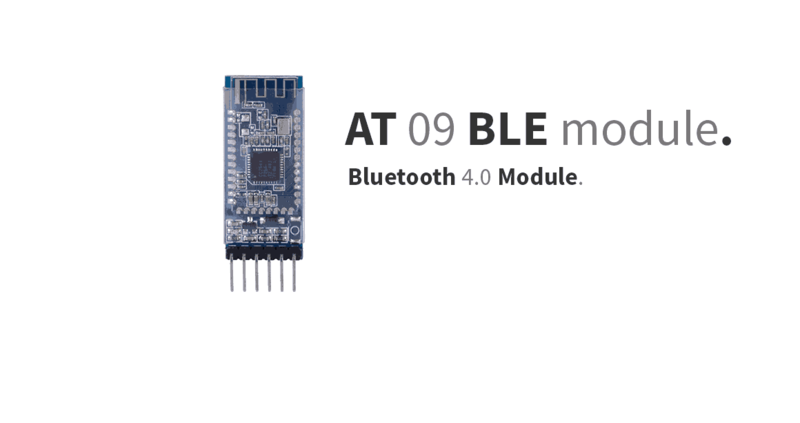 After each write, the AT-09 BLE module will update the characteristic and also send a notification. On our central app, we will receive notifications following this order: 1, 2, 3, 4, 5, etc. Now open the LightBlue app and click on LightBlue. Then open the TX&RX Properties. and select Listen for notifications. Now you will see the messages that arrives from your AT-09 BLE module. Time to build a realise example a small cool temperature / Humidity application. 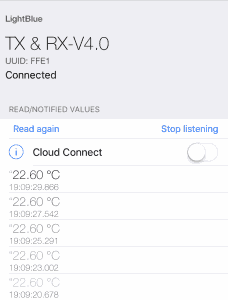 sending temperature and humidity to the iPhone through BLE. Here we will need a temperature / humidity sensor. I am using the DHT22 sensor here. We will connect the sensor to the Arduino following this scheme. After establishing the connections, we will need to read the temperature from one of the free pin’s. The Used library that allows to read the temperature in Celsius or Fahrenheit. we just need to send the string to the serial port of the AT-09 BLE module. As you can see it displays the temperature in Hex, now press hex in the upper right corner and select UTF-8 now you will see the temperature in plain text. Oke now that we have a “real life” working application we can go further with our bluetooth and make some awesome things.